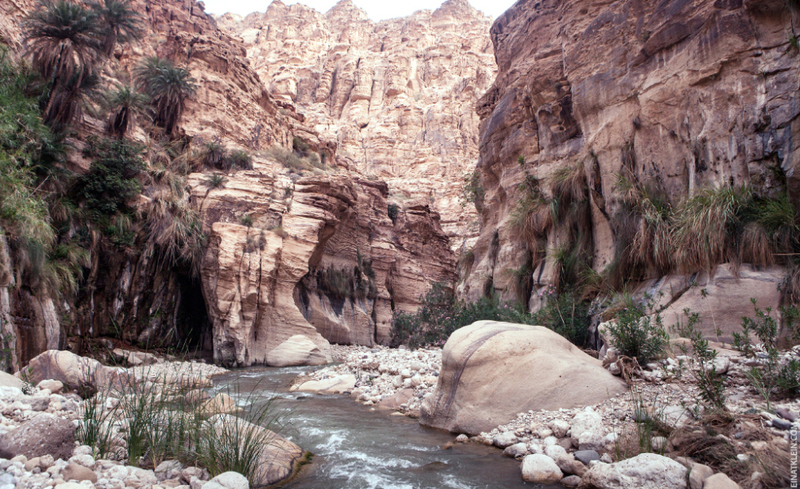 While the Israeli desert dwellers are languishing in the heat, I invite you to join us for the trip to one of the most beautiful, romantic, incredible and spectacular gorges in the Middle East – the Wadi Hasa (also known as Nahal Zered), waters of which flow nearby – in Jordan – and flow into the Dead Sea. 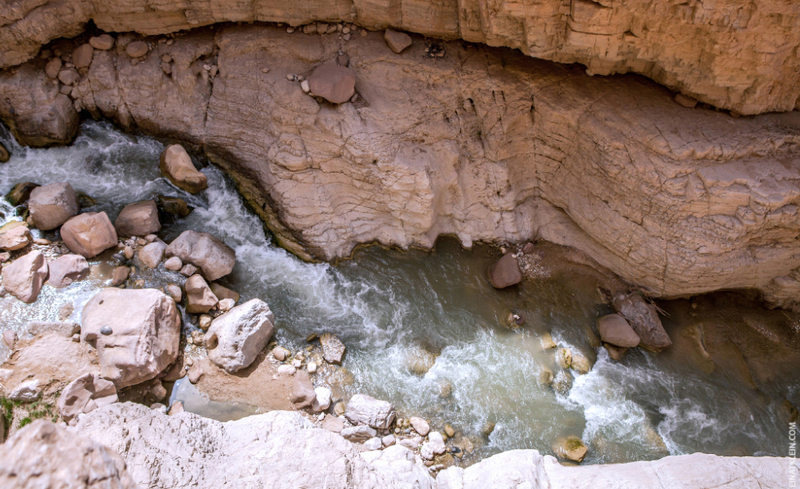 You will never find anything like Hasa in Israel, neither on the scale nor the amount of water, or the number of adventures. 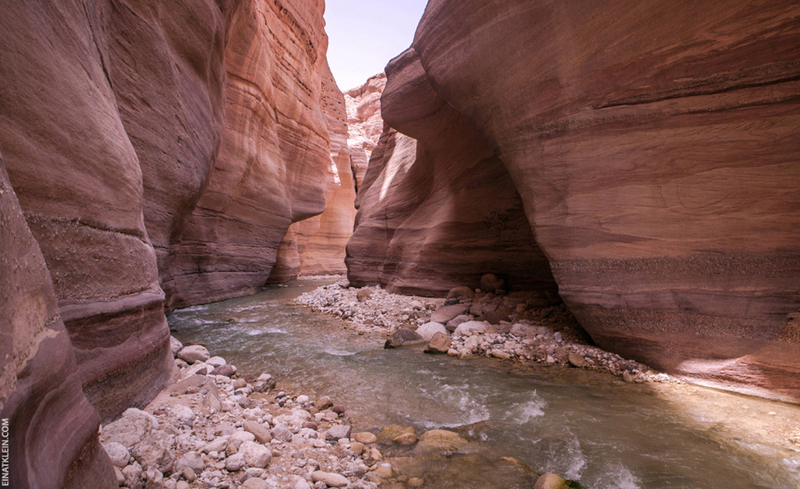 And even if you’ve been to all the water canyons of Israel, a two-day track along the Biblical brook Zered will prove that until now have not known anything about water canyons. 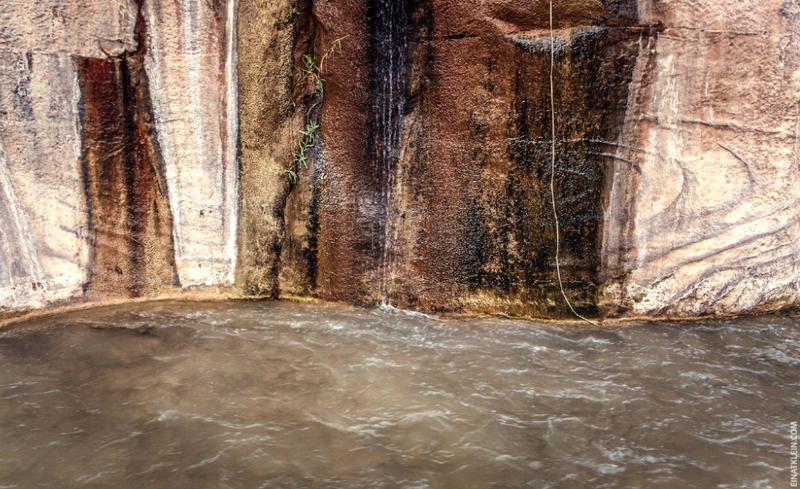 We look forward to more than 25 kilometers of desert, waterfalls, rapids, jumping, mountain sources of drinking water, bathing in hot pools, back-rafting down the boisterous waters of Hasa and an incredible amount of positive energy for a long time to come. 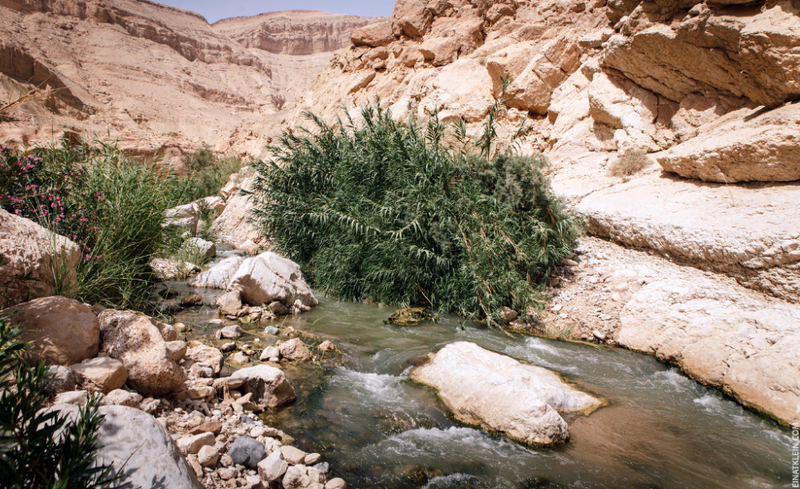 The above verses are not the only mention of the brook Zered in the Tanah. Another reference we can find in the book of Numbers (Bamidbar). “12. From there they set out and camped in the Valley of Zered. 13. From there they set out and camped on the other side of the Arnon, which is in the wilderness that extends from the border of the Amorites, for the Arnon is the border of Moab, between Moab and the Amorites.”. So, as you can see, our track will not only a sporting event, but also the hike with the important historical overtones. 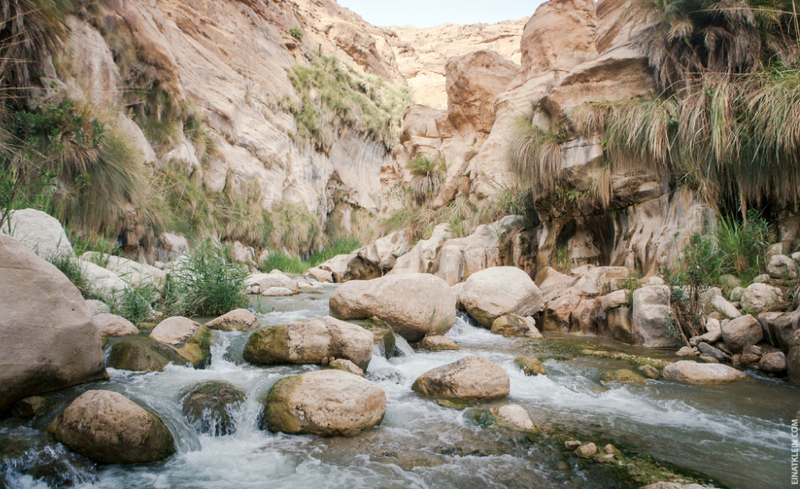 Summer is the perfect time for Wadi Hasa, and we will not be too hot. 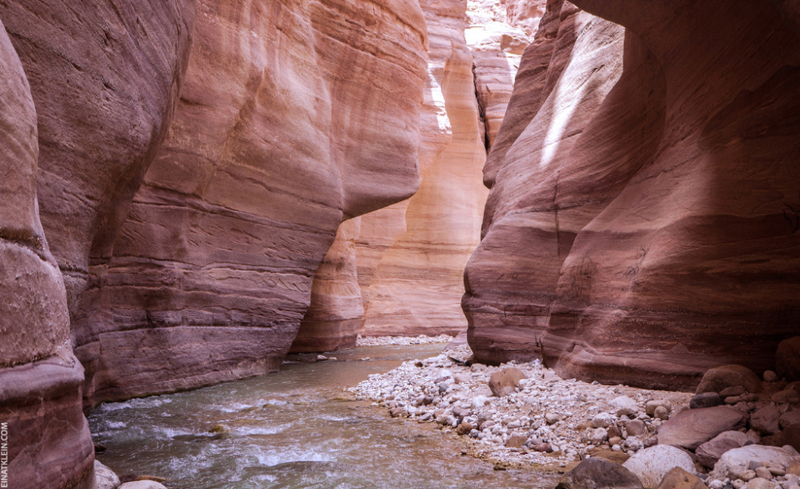 There will be plenty of water in the valley, greenery, flowers and, most importantly, mind-boggling beauty of red and yellow, the one-of-a-kind Jordanian scenery. 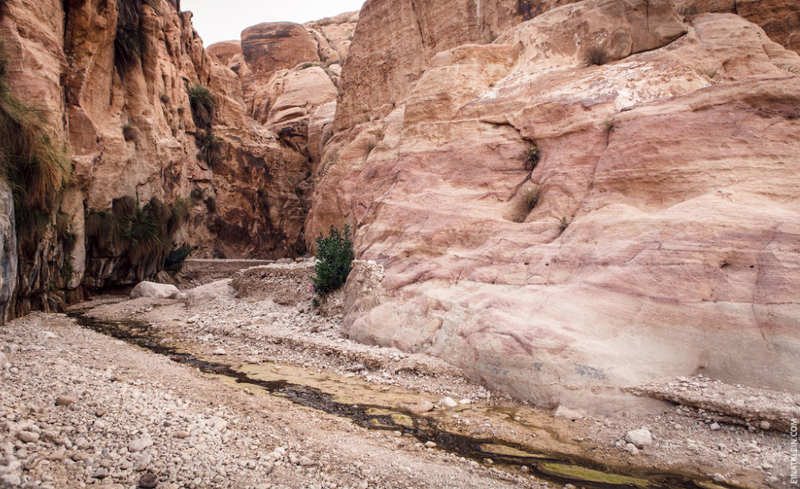 Transfer from the Israeli-Jordanian border to the start of the route and back. At 07:30 the group meets near the Yitzhak Rabin checkpoint, at the southern crossing near Eilat-Aqaba. At 8:00 we will pass the border and head to the beginning of the route. It takes three hours to get there. 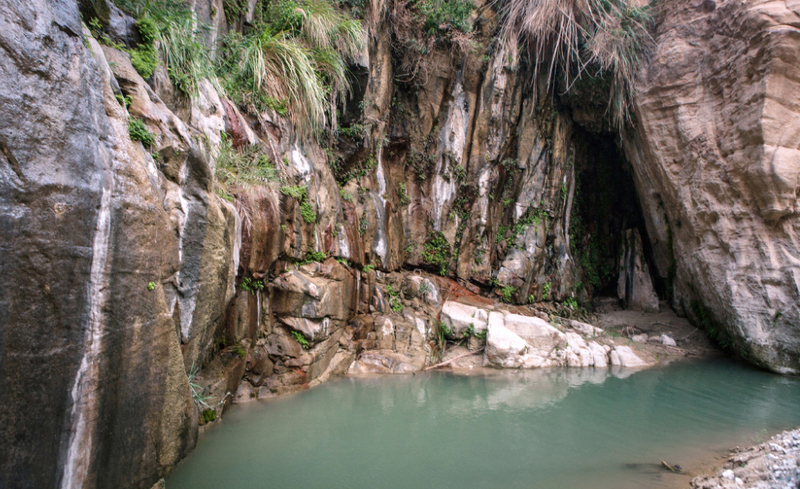 Around 12:00 we will arrive to the start of our trek and will start with Wadi Afra, famous for its hot springs, so that the first dip in the way to Hasa might resemble a sauna. 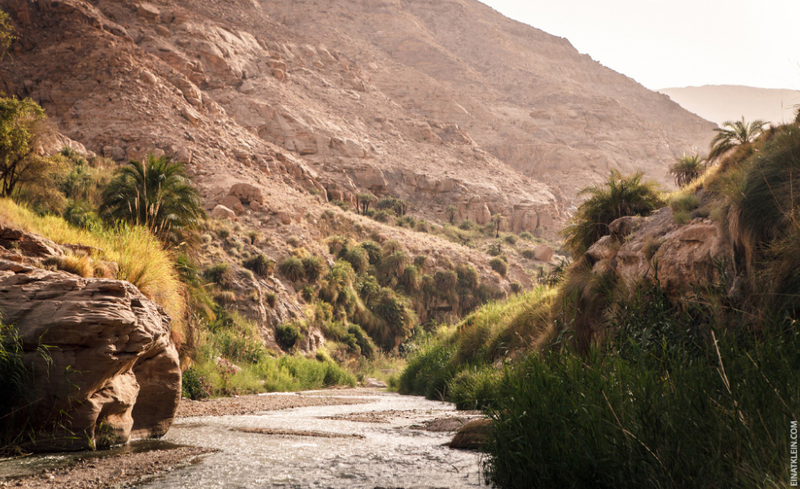 Soon, however, we come to the confluence of the waters of Afra and Hasa, and continue our long journey towards the Dead Sea. 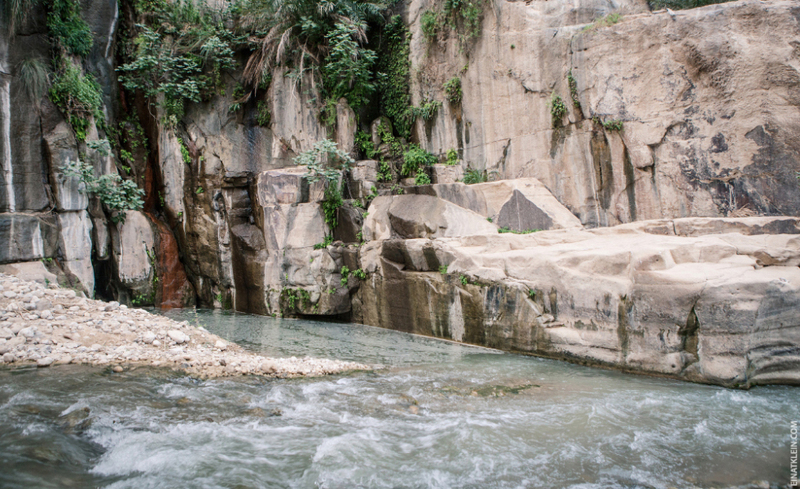 On the way we will see the oleander bushes, reed groves, palm trees and waterfalls. 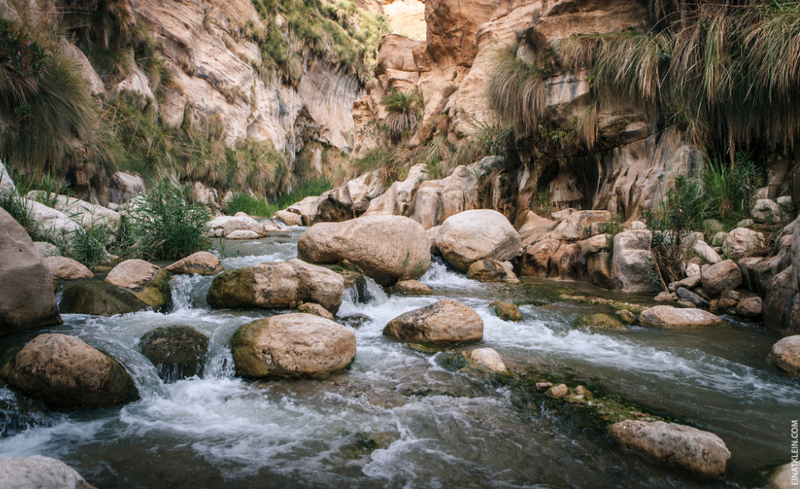 One of the main advantages of Wadi Hasa, in addition to its incredible beauty, is the abundance of sources of drinking water. Consequently, there is no need to lug on the back the large and heavy water bottles. 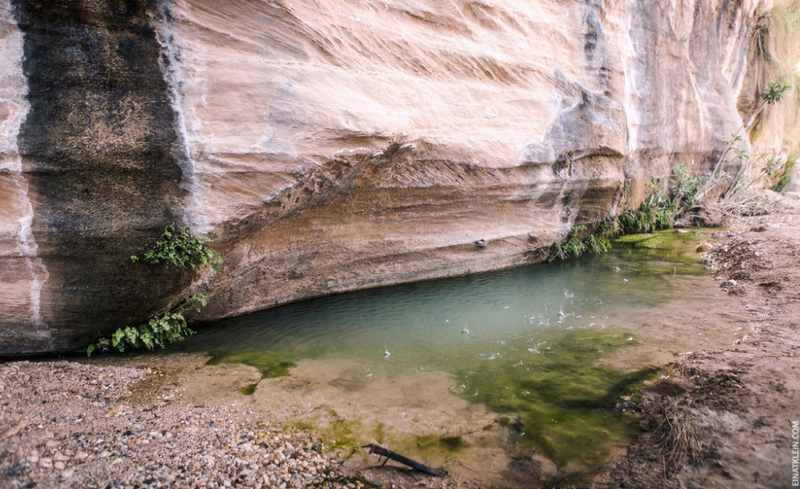 You can always go to the nearest water source and replenish your supply. So, we will go on and on, occasionally dipping into the pleasant waters of the stream, until we get to the place of our camping around 18-19:00. Here, we will set the up camp or rather fall to the ground deadly tired. 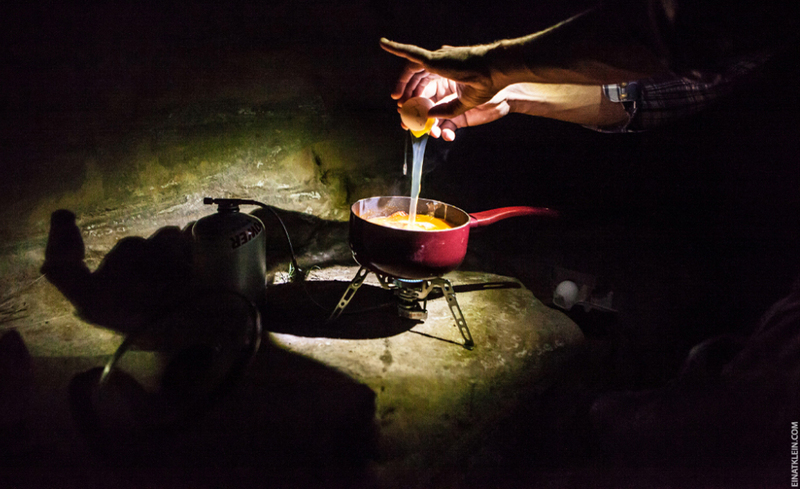 However, the most lively of us, of course, will take up cooking dinner. The last time we were preparing the real Shakshuka with goat cheese. It was expected, of course, but that was the most delicious Shakshuka in my life. I am writing this now, and I’m already looking forward to it. 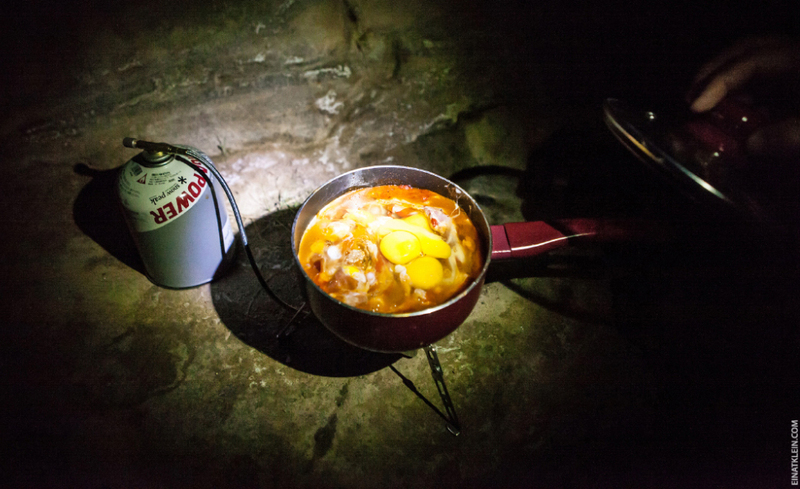 Also, it is very good to get a soup in the Wadi Hasa. After a delicious dinner we will have a sufficient number of hours of sleep, but at the first sun rays of the next morning, we will move on. 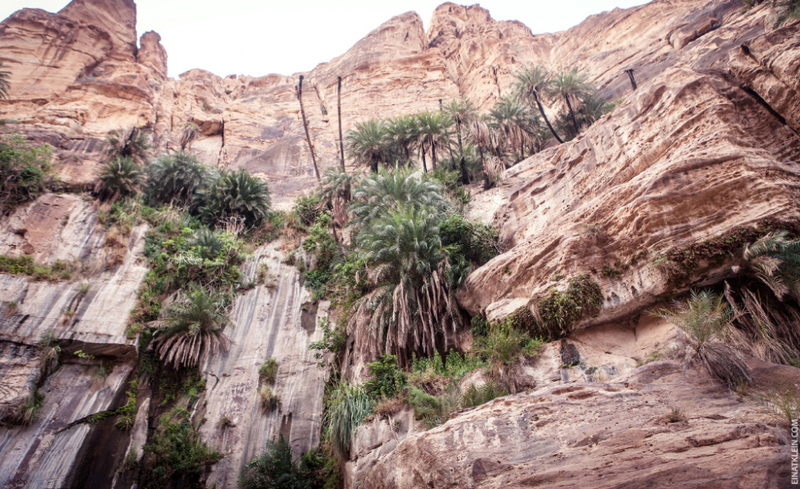 With the sunrise, about 4:30, we will get up, and at 05:30 we will continue our journey along the Wadi Hasa. 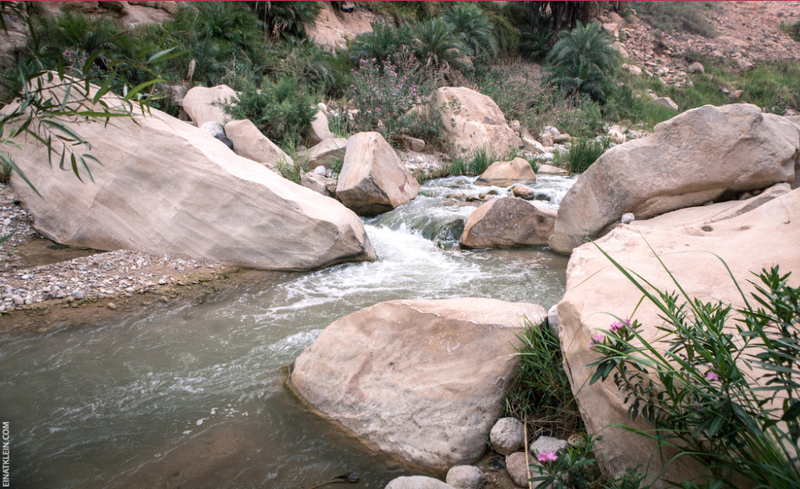 Along the way, now and then we will meet some obstacles in the form of giant stones, water rapids and oleander bushes. Fans of strict landscapes should like this day more than the previous one, since it will be less green, but more of the high pitches, waterfalls and narrow gorges. 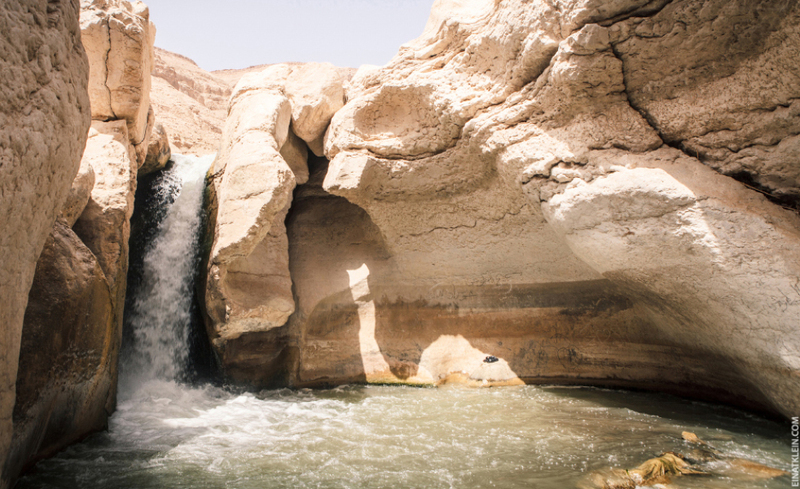 On this day we will pass one of the symbols of Wadi Hasa – so-called submarines, dive into pools of hot springs and drink clean water that is literally flowing out of sources in the walls. 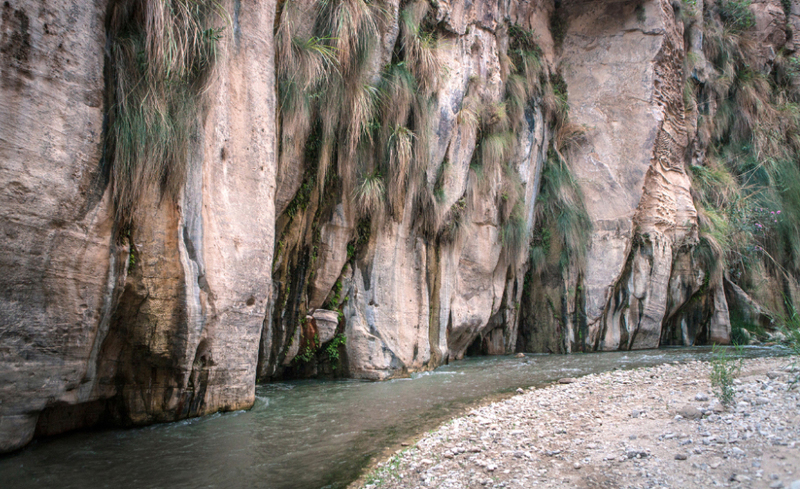 Around 17:00 we will complete our trek in Wadi Hasa and will come out to the village of Safi, where a bus will be expecting us. 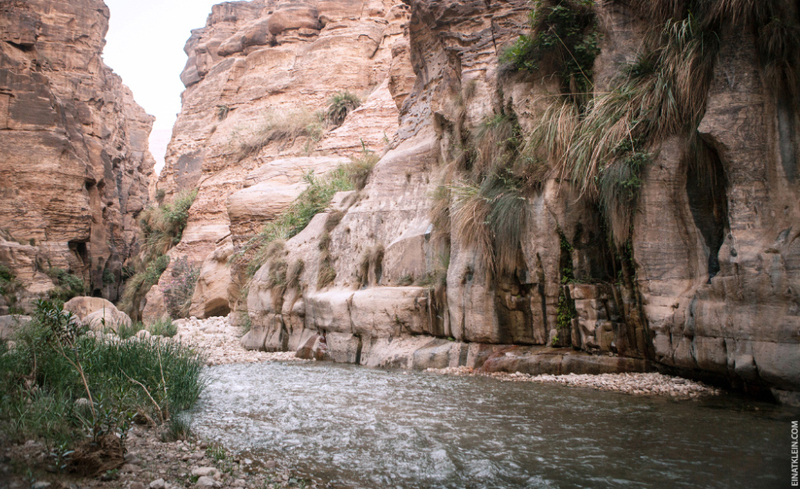 On the road along the Dead Sea (a great opportunity to look at the other side of Israel!) we will head to the southern Israeli border crossing. Tentative time of border crossing – 18-19:00. 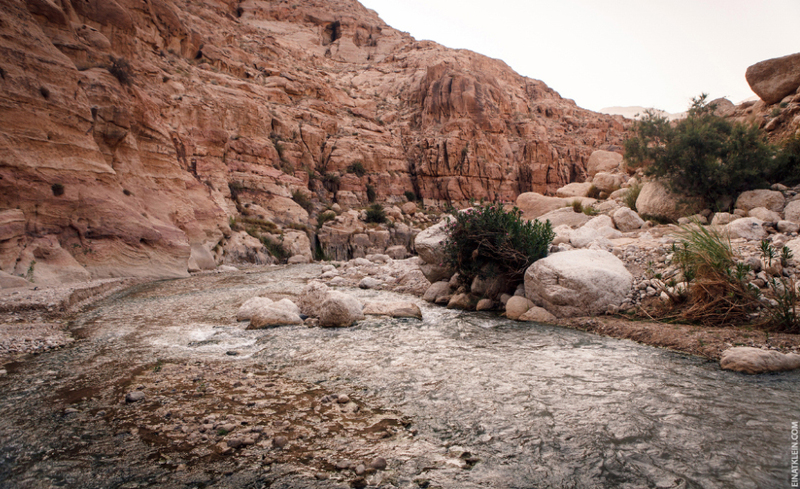 At 7:30 AM we meet at the checkpoint Arava near Eilat. Everybody gets there by themselves- by car, plane or the Egged bus (I recommend not to reject prematurely this option, the bus can be very convenient). Ideally, we should get together and ride on few cars, saving on gas. 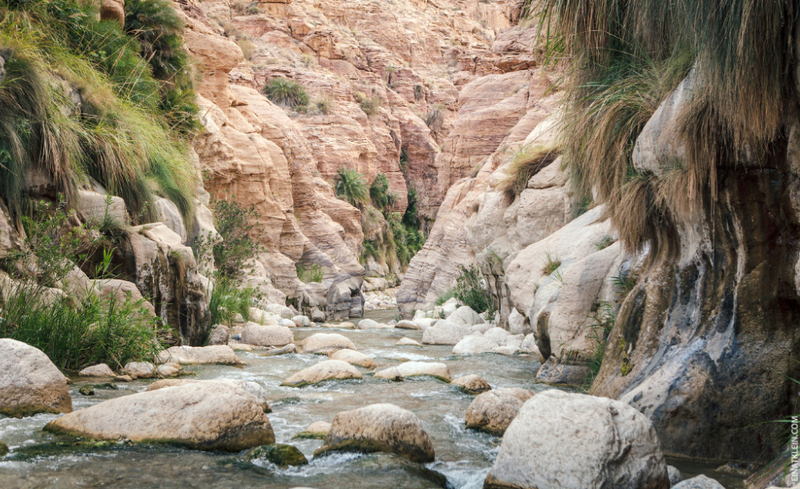 You can either come in on the night from Thursday to Friday, or come on Thursday evening and spend a night in Eilat. After crossing the border we head to the start of the route and until 18:00 of the next day we’ll forget about all the problems. About 18:00 on Saturday, we will move to the Jordanian-Israeli border and go home. 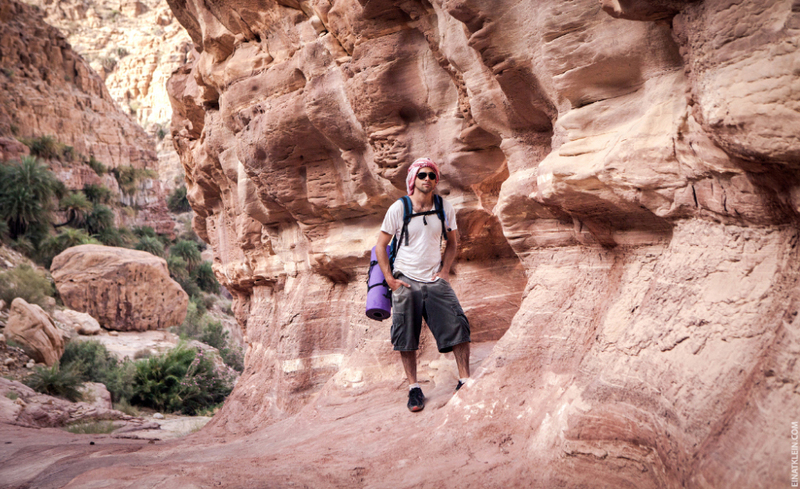 Comfortable clothing and hiking shoes that can get water through. 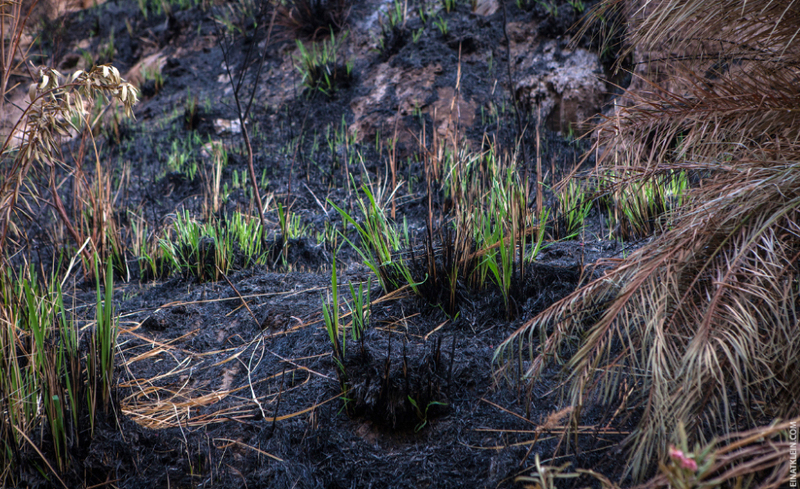 It is advisable to wear the shoes, not sandals, to decrease the risk of toe injuries, as well as the high toecaps, so you will be less exposed to small pebbles. Small backpack for 2-3 liters of water and food for two days. All the food we take with us, in the gorge you can not buy anything :) Water for the first day of the trek (2-3 liters) will buy on our way already in Jordan. 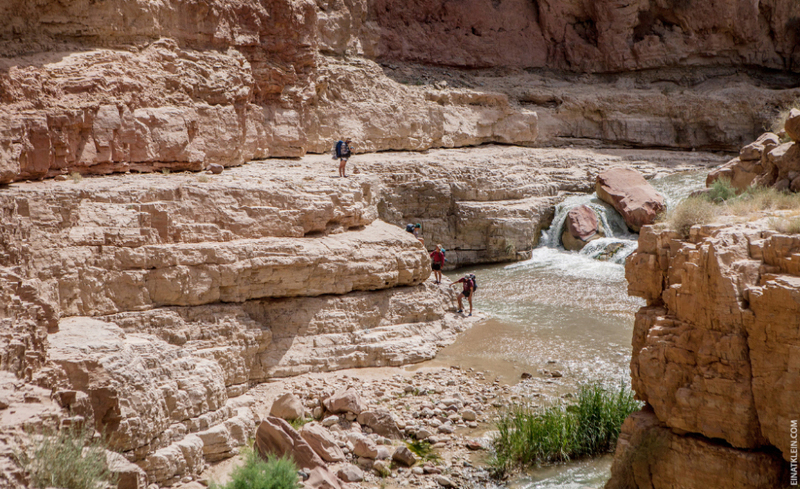 a) 25 km in a canyon is a lot, even for two days. 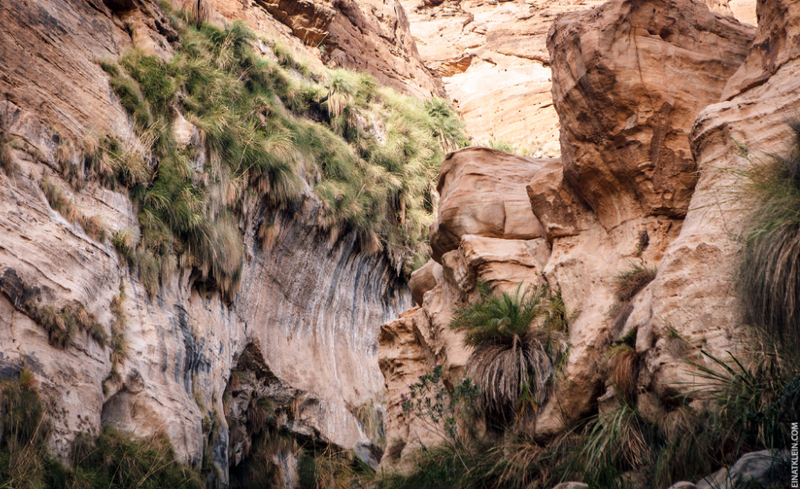 We will have to walk at a good pace, and if we do not get out of the canyon at the appointed time, we will have to stay overnight in Aqaba, since the border closes at 20:00 sharp. b) On the route there will be a few places where you would require minimal climbing skills. It is basically the ability to move your legs and come down from a height of several meters. c) If you have a mild fear of heights, on our way to there will be three of four places where you will have to overcome it (downhill). 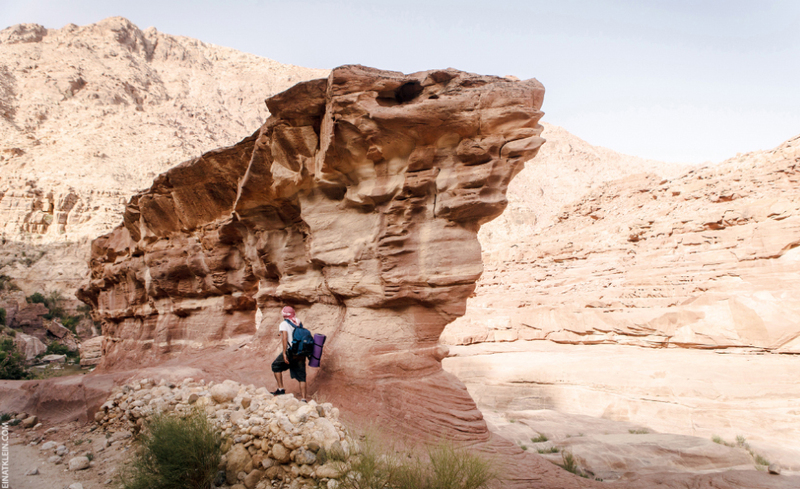 However, Wadi Hasa is an incredibly enjoyable route, requiring no special skills.